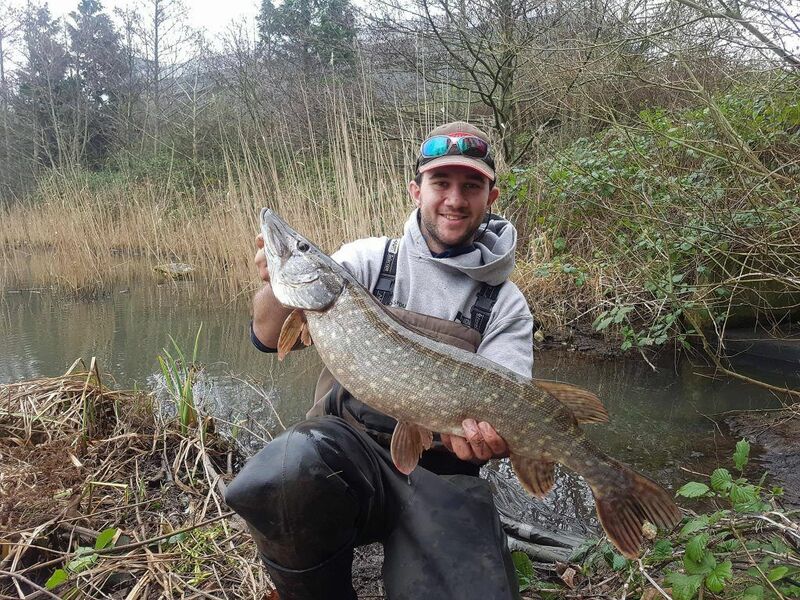 January kicked off with something I haven’t done much of before, pike fishing! I setup some lure fishing gear and decided to give it a crack, the first few sessions were productive producing jack pike up to 6lbs. I decided I wanted a crack at something bigger, the best route here would be to go dead baiting. I setup my Hart Blood Shore Power Evo rod with some bait runner style reels and they worked a treat. I started to catch some decent pike into double figures, my best going 12lb 8oz. I had some great sessions with the best producing six pike with two of them doubles over the space of three hours. I didn’t have any massive fish but I enjoyed doing something different. As I settled into February I had a trip booked in the Bristol Channel. The target would be spurdog, the Mid Channel Trenches can hold some big spurs but also a variety of other species, including eels. Tides in the Bristol Channel are strong which means the type of gear you use is restricted. When downtiding you can often be using 2lbs of lead, on the uptider you will be using 12oz or more. During the strongest period of tide I used a Hart Bloody Energy coupled with a big fixed spool reel loaded with heavy braid. It wasn’t long before we were into spurs and conger eels, losing count of how many we caught in a relatively short period of time. Whilst this was fun, I was itching to get the light gear out. My HTO Slizzle Jizzle rod was primed and ready for when the tide slackened off. When it did, boy did I have some fun! I had plenty of spurs and conger eels on this setup, the parabolic action of the blank extracting as much fun as possible. Although we had plenty of fish, we didn’t manage many big eels but we did have some good sized spurs, my best was 19lbs. Later on in February I had a trip booked out of Dartmouth aboard Gemini. The plan was to hit the wrecks for good sized pollack. The best rod in my armoury for this was the Hart Hartcore S2 Evo with a 5000 sized fixed spool and 25lb braid. On the day I had most of my fish on the 20g and 40g HTO Artic Eel in Rhubarb and Custard and Green Shirasu. It was awesome fun on the light gear and makes you question the point in heavier rods for this kind of fishing. My biggest pollack from the trip was around 12lbs with a good average of 7lbs. March kicked off with a session on a local low water mark on Sully Island. The fishing had been quiet for some time and rather than target one specific species, I was hoping for anything that might swim along! 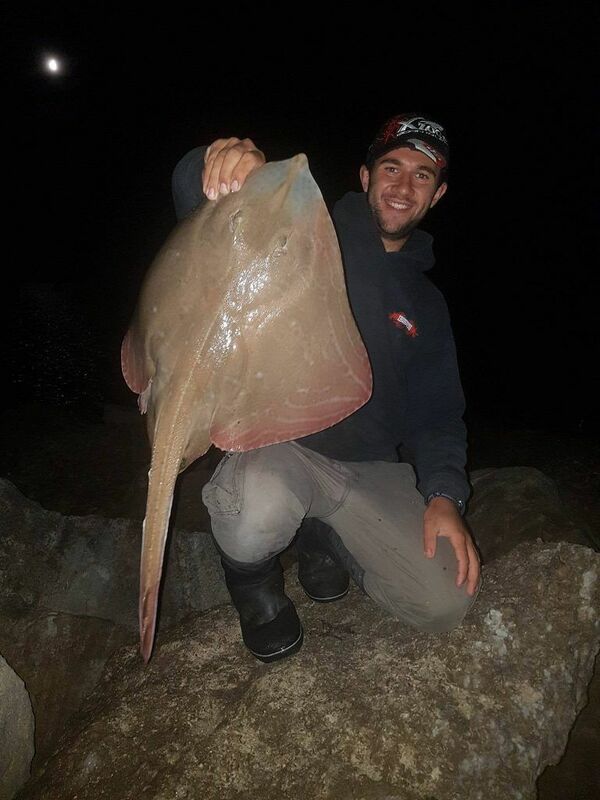 It ended up being a productive session in the end, my first cast producing a welcome thornback ray of around 3lbs. Towards the end of the session I had a codling around 2lbs, with the way the cod fishing had been during the season it was nice to see a cod of any size. There were plenty of dogfish on the scene which kept me busy (and warm). 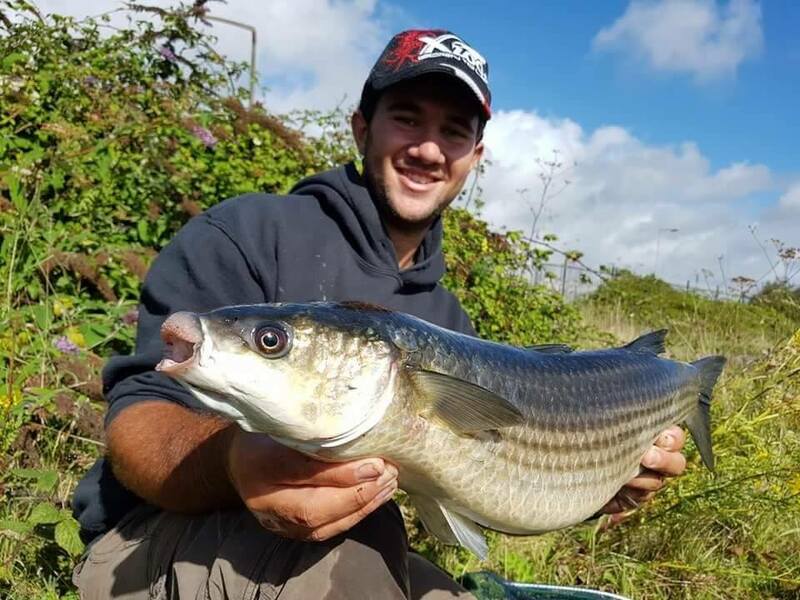 For this session I used the Tronixpro Naga MX rod, it is the perfect rod for this type of fishing where you’ll be targeting a wide range of species. It’s an all rounder that has plenty of bite detection and power to handle the bigger fish. Rough weather combined with small tides could only mean one thing, to fish one of my favourite local low water marks to try for a decent conger eel. I headed down again with the Tronixpro Naga MX in search of a decent eel, also knowing cod and a thornback could be a possibility. As we approached prime time I was expecting a bite, which didn’t disappoint, my rod sprung up from the the rod rest as the fish broke my lead free and dropped the slack. 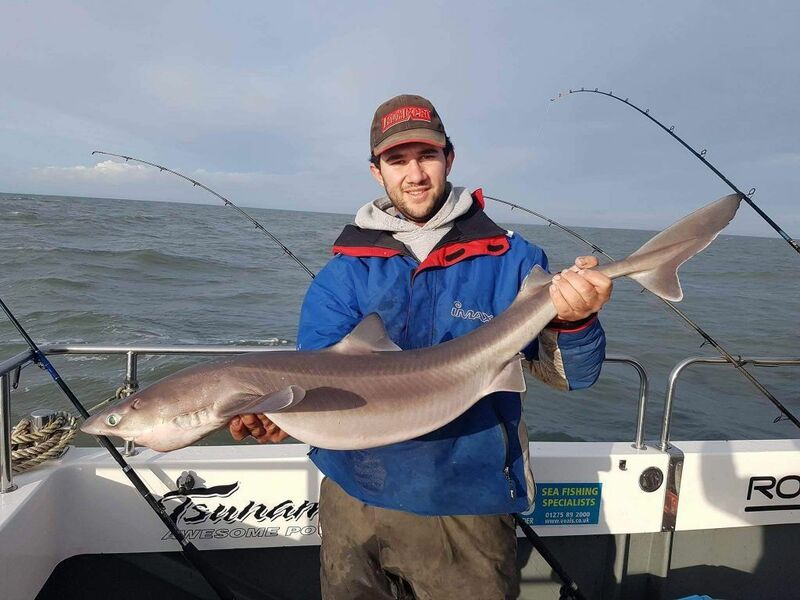 It turned out to be a conger eel of 10lb 11oz. Not massive but it’s always nice to catch the fish you intend to target. 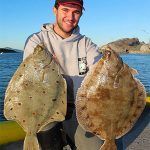 Later on in the month I decided to give some ray fishing a go. There had been some good blonde ray showing and I decided to fish another one of my local low water marks. This one has a sand bar that uncovers on big tides which would increase my chances of a decent ray. I fished with two rods one short and one at distance. 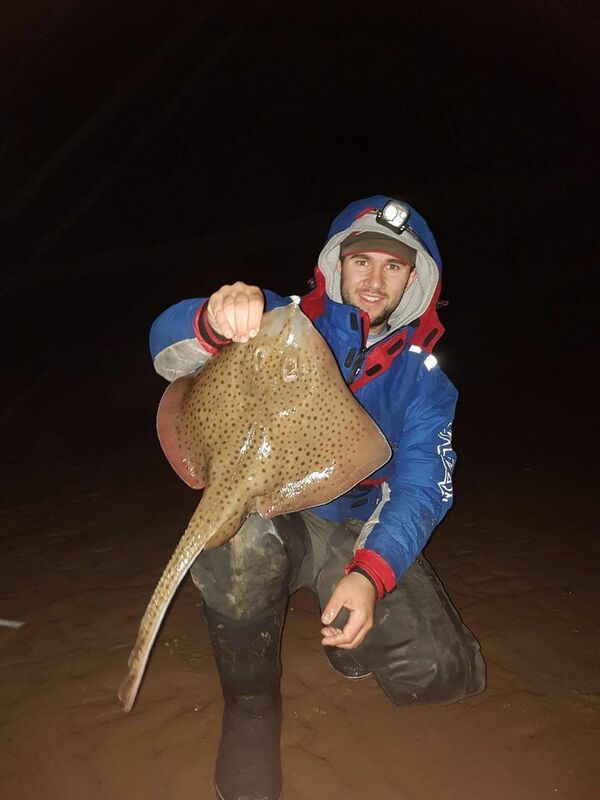 After a few casts I had a slack line bite which produced a lovely looking spotted ray of 5lb 11oz. This smashed my PB and I was absolutely made up with it, it was a goal of mine to catch a big spotty from the shore in 2017. During the first half of the flood I had another cracking bite, pulling my rod round and piling on some pressure. I lifted into it and knew from the aggressive head shakes it would be a conger eel. About half way in the fish came off, as I was reeling in I could see it had bitten straight through my 130lb hook length. I was gutted, but there is always one fish that gets away. I love fishing for smoothhounds and this is where my next trip would take me. I headed over to another mark on Sully Island, the target was smoothhound but I also knew I’d be in with a chance of catching some congers and possibly a thornback. I’ve been using the new Tronixpro Big Dog II samples in 2/0. I loved the originals and these new versions are even better! I like them for my hound fishing as they always get a good hook hold in the mouth, they’re ideal for bigger baits too. Most of the ebbing tide was very quiet, then, about half an hour from low I had my first hound of the session. Weighing in at 7lbs. The flood produced some good fish and I ended up with five to 8lb 8oz. I also had a surprise spotted ray, which is a rare sight on this mark. I had quite a few hounds in a very short space of time so kept them in a deep rock pool. As the bites slowed down I managed to get some good photos and then released them. 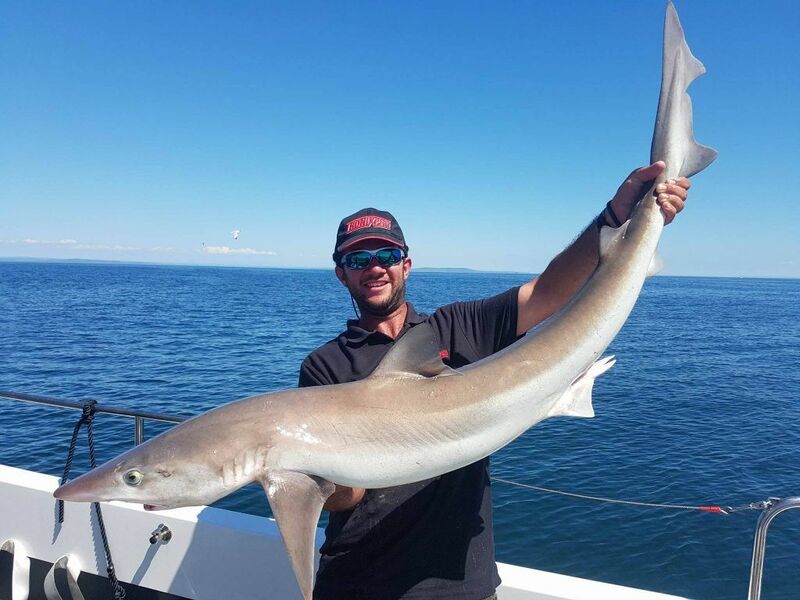 I had a trip booked with two mates of mine aboard White Water, initially we were looking at shark fishing but decided to change at the last minute to an inshore tope hunt. We were glad we did given the fishing we had! The first mark we anchored up on didn’t produce any tope, we did catch some nice pollack and a bull huss, but not the fish we were targeting. We decided to move and this new mark, produced fish from the word go. We were all into tope quickly in the first hour. 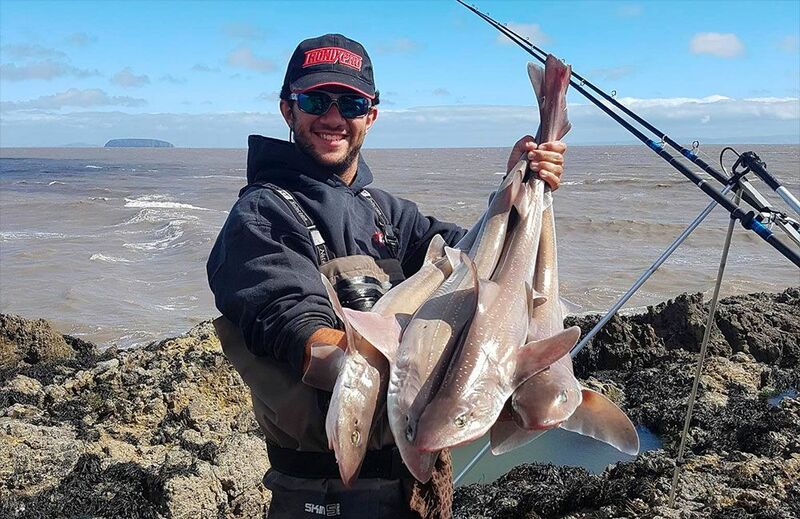 I mainly fish with uptide rods but I also had my Hart Hartcore S2 Evo with me coupled with a 5000 sized reel, this was awesome fun for tope! Between three of us and the skipper we had 28 tope, I had the biggest of 48lb with most of the others going between 40 and 45lbs. On the way back in we stopped at a reef to try for some pollack for an hour, we had some nice fish to 5lbs. Using lighter gear gives you much more fun, the Hart Hartcore S2 Evo had more than enough power for the tope and I have even had blue sharks up to 70lb on them too. 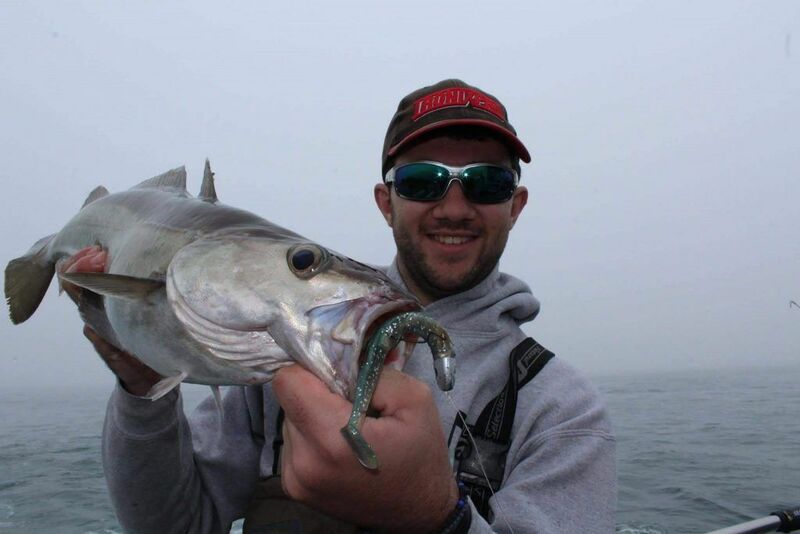 You can afford to go light provided you play the fish correctly rather than bully them to the surface. Mullet has been something I really wanted to target this year. I’ve been playing around with a new Tronixpro Mullet Rod sample since the early part of the year, so it was an ideal excuse to get out there and catch some. I’ve been getting some good results down my local dock, catching fish up to 5lb 8oz. I mainly ledger fish in shallow water for them, but I also always have a float rod setup just in case the fish move off the bottom. Most of the mullet I have had have been around the 2 to 3lb mark, the bigger fish tend to come in later on in the summer. 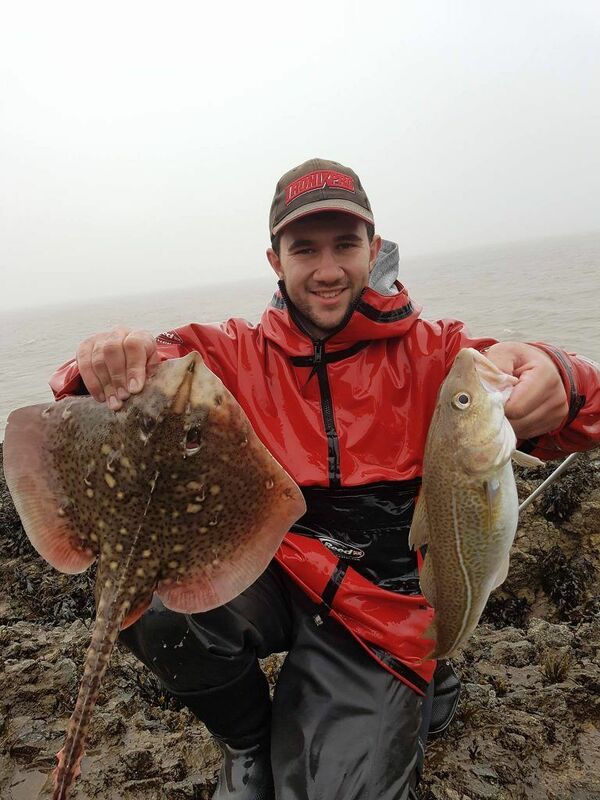 The undulate ray fishing across the south coast has been electric for some time, looking at the reports from all around the region it would have been rude not to give it a go. I headed down to Sandbanks with a mate of mine in the hope of catching some decent undulates and anything else that might turn up. This was my first time fishing Sandbanks – what an awesome place! We spent the whole night there and it was very quiet until around 1am, I then had a nice small eyed ray of 9lbs 11oz. 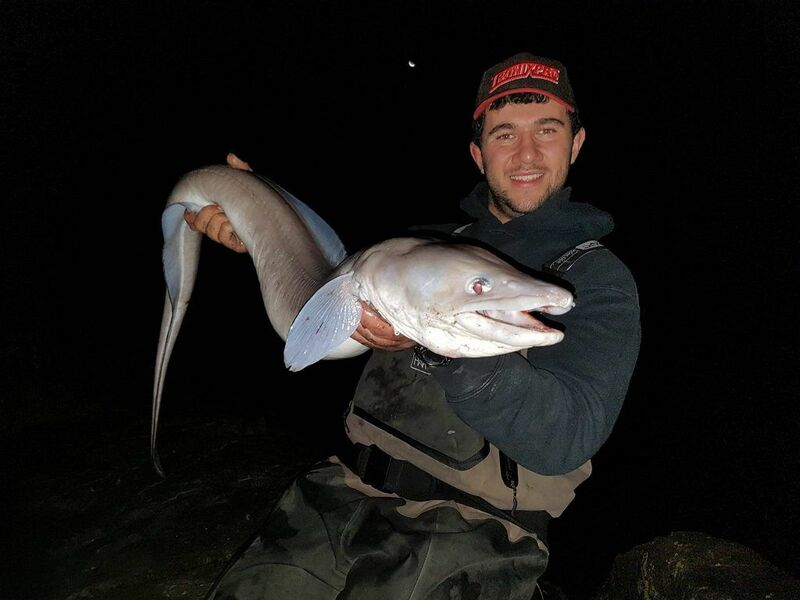 Shortly after I had a small smoothhound and two small bass on small baits around 20 yards out. I had another two small eyed during the night with one tipping the scales at 8lb 8oz and the other just shy of 7lbs. The place captivated me and I’ll be back down again in search of an undulate before too long! So, that’s my first six month report. I managed to get plenty of fishing in as you can see! Stay tuned, I’ll have another update to Super Mario’s Adventures in the not so distant future!